I wanted you to know first – Kenneth Sheets, the former representative for the 107th district, has officially endorsed my campaign. Kenneth Sheets has served our country and Texas with distinction and honor. It means a lot that someone with such high integrity and who has fought so hard for our shared values and freedoms is supporting my campaign. We are in an excellent position to win the runoff election in May with Kenneth on our team. Will you stand with Kenneth and support my campaign with your donation? Every dollar you contribute will be used to talk to share my vision for the future of our district and our state. 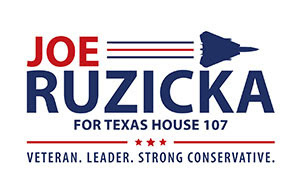 In order to win, we need to reach Republicans across the district and let them know about our campaign. I can only do that with your help.